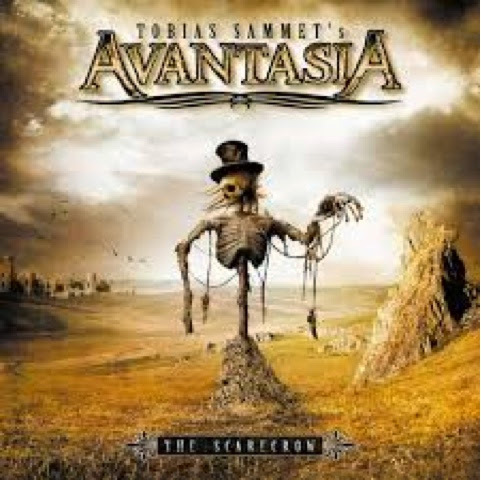 The Scarecrow is the third album and first of the wicked trilogy by Tobias Sammet's Avantasia project. As with the previous and current records, this album has a bunch of guest musicians playing different parts in typical metal opera styling. The story is about a man who feels alone and different from the world. While trying to find happiness he experiences heartbreak and turns to the devilish side of life. While these songs tell a whole story, they are relatable on a track by track basis which is part of what makes this album so great. The stand out moments here are the guest vocalists. That includes people like Jørn Lande and Michael Kiske. Alice Cooper guests on "The Toy Master" which is great with Alice doing a top notch performance, but seems to throw the story off a bit. It's too bad both he and Roy weren't used more than one track each on this entire trilogy. While no song here is bad, the only track that is forgettable is "Cry A Little" but with only one "ok" song, that's still a pretty good album. The lyrics here convey the emotion perfectly aiding to Tobias Sammet's desire to feel the story rather than understand it. Sadly, this is the best Edguy album without being Edguy in recent years. Fans of any of the singers or power metal in general must hear this record if you haven't already. The guests here all sound at their peak with incredible vocal delivery and the songs are catchy and memorable.